Is your outdoor space picture-perfect… or camera shy? It’s a hard pill to swallow, but you only get one chance to make a great first impression. If your home or business has tall grass up to its knees, weeds sprouting from the pavement, and bushes blocking the view – you could be standing out from the crowd… for all the wrong reasons! Of course, lawn maintenance can be tough work. And that means saying goodbye to your precious weekend. But with a one-off or scheduled lawn maintenance in Kenthurst, you can finally enjoy a well-earned rest… and have your lawn looking perfect all year round. Whether your lawn needs a quick trim… the soil is due for another layer of fertiliser… or you need help choosing plants and shrubs to complete your landscaping project… Dual Group brings the labour and expertise to make your outdoor space stunning. Dual Group is so much more than your average ‘Mow, Blow and Go’ company. Every garden is unique and yours is no different. That’s why Dual Group takes the time to address your specific needs and provide a custom quote to suit your budget – no hidden fees or nasty surprises. Plus, we can work around your schedule, so whether you need a one-time visit or scheduled appointments – the choice is yours. Even if you have a unique problem – one you think no one else has ever had – rest assured our local experts have seen it all, and will provide a custom solution for you. Of course, you can always expect the place to be neat and tidy once the job is done. That’s our promise to you! Are You a Strata Manager or Commercial Business Owner? If so, you’ll be glad to know there are no long-term contracts when you choose us. In Kenthurst, our lawn maintenance and gardening service is 100% risk-free to you. If you’re not completely satisfied after the first job – simply walk away, no questions asked. But as one of Sydney’s most highly rated lawn and property services, you’ll be hard pressed to find a company as trustworthy and reliable in the Kenthurst region. Just imagine what you could do with your free time, instead of plucking out weeds from the garden? And just think of the compliments you will earn from your friends, family, clients and neighbours. 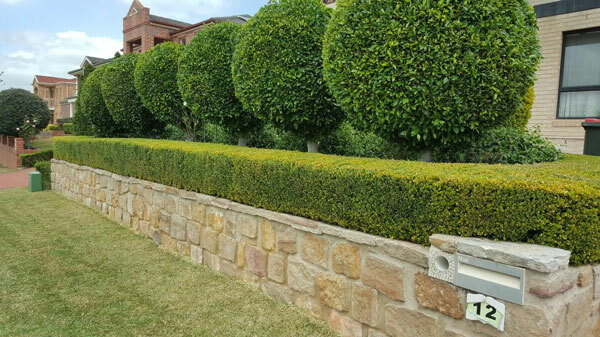 For the finest landscaping services in Kenthurst, call Dual Group today on 1300 303 539 or send an online message for a free, no-obligation quote.